Whether you are moving across town or across the country, transporting your business to a new location can be a monumental task. To avoid unnecessary problems and stress, it may be a good idea to hire a commercial moving company. Moving heavy office furniture is difficult and usually requires multiple people or special equipment. Hiring professional movers eliminates the aggravation and the potential for injury. 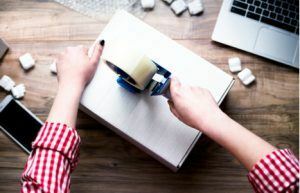 Packing hundreds of items, labeling each box and wrapping breakables can be tedious and extremely time-consuming, especially in an office environment when expensive office equipment like computers, monitors and printers are involved. Professional movers have the necessary knowledge, skills and equipment to understand and plan for the logistics involved in moving commercial items. You may need to get your business ready for the move. Hiring a team of professional movers will give you the time and space you need in your future location. When it comes time to relocate, you will want your possessions to be safely packed in the truck. The Green Van Lines movers are committed to ensuring that your items stay stable and protected. Green Van Lines has reusable crates configured to be efficient and environmentally safe. Their professional movers are strong enough to move heavy items, yet gentle enough to able to wrap breakable items individually and make sure that your goods are not damaged. It’s clear that Green Van Lines is a company you can put your trust in, especially when it comes to moving. To schedule efficient local or long-distance movers throughout Dallas and North Texas, contact Green Van Lines today.